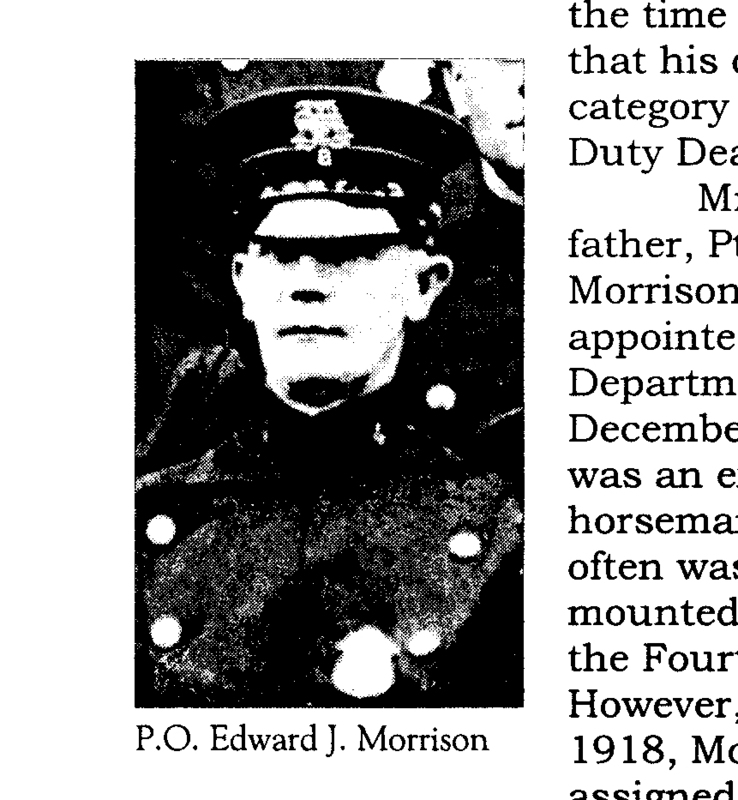 Police Officer Edward Morrison died as the result of falling into the Hudson River five weeks earlier. He was on duty at the foot of Ashburton Street when a boat captain approached him and asked for his assistance in locating a barge in the river. The boat captain had ordered to take control of the barge and could not find it. As the two began checking the barges docked at the wharf, Officer Morrison fell into the river while jumping from one barge to another. Dressed in his full uniform, including his blouse coat, he was struggled to stay above water for several minutes. He was eventually pulled from the water in serious condition. Officer Morrison was transported to a local hospital where he remained as his condition worsened. He passed away on July 18, 1918. Officer Morrison had served with the Yonkers Police Department for nine years. He was survived by his expectant wife and six children. On today, the 100th anniversary of your death I would just like to say thank you for your service and sacrifice for the citizens of Yonkers. And to your Family and loved ones, I wish to extend my deepest sympathy.